Unite For Sight's program offers extensive learning opportunities for those interested in any aspect of public health, medicine, international development, and social entrepreneurship. Participants support and learn from the talented local doctors who are social entrepreneurs addressing complex global health issues. Are you interested in global health? Learn first-hand from patients and doctors about barriers to care for the hardest-to-reach patients. Engage with the local doctors as they provide sustainable, quality healthcare delivery strategies in resource-poor settings. Work with community health volunteers who serve as peer educators and connect patients to the local doctors. Participants may optionally pursue a research study to further enhance the programs that eliminate barriers to care for patients living in extreme poverty. Are you interested in medicine? Test visual acuity, take patient history, and dispense medication and glasses that are prescribed by the local doctors. Watch sight-restoring surgeries performed by local ophthalmologists. The local doctors are high-volume surgeons, and many of them perform 2,000-4,000 sight-restoring surgeries each year. 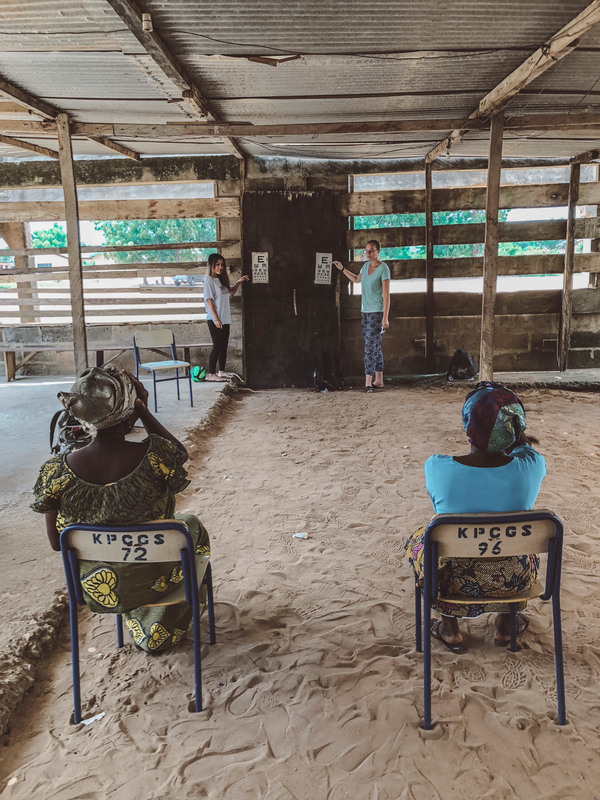 Shadow and learn from the optometrists and ophthalmic nurses in the field as they examine, diagnose, and treat patients in villages, slums, and refugee camps. Are you interested in NGOs and sustainability? Learn about the realities and complexities of responsible NGO management. Observe first-hand the sustainable healthcare delivery strategies that are employed daily by the local doctors. Engage with clinic founders, managers, and staff who are dedicated to quality hospital management and sustainability. Are you interested in social entrepreneurship? Support and assist the local doctors' sustainable public health programs. Speak with the doctors and clinic founders about their motivations for passionately dedicating most of their time to providing care for patients living in extreme poverty. Learn about the clinic's social mobilization strategies. Work with clinic outreach teams whose complex and novel strategies are able to reach the hardest-to-reach patients.